Gerbacio DeLeon appears to be rather unique in baseball history. It's not necessarily for his playing, but for his name. DeLeon appears to be the only professional player ever to have the first name Gerbacio. He is the only player to come up on Baseball-Reference when searching for that moniker. DeLeon's career, though, left far less of a mark on the game. He played a single season at single-A, starting 15 games. 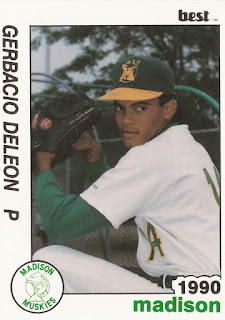 DeLeon's career began and ended in 1990, signed by the Athletics as a free agent out of his native Dominican Republic. The Athletics assigned him to single-A Madison. DeLeon started those 15 games. In 81 total innings, he gave up 43 earned runs for a 4.78 ERA. He struck out 46, walked 26 and gave up seven home runs. 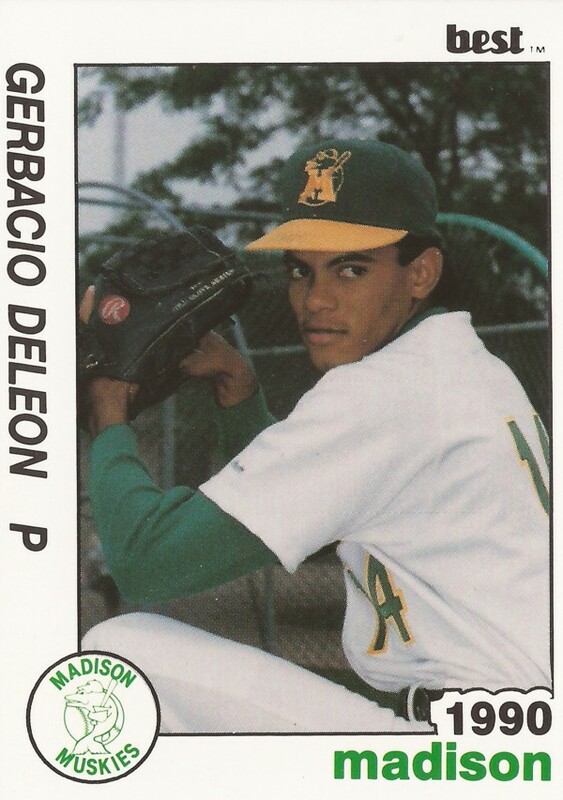 DeLeon also won four games and lost six for the Muskies that year. Those numbers marked the extent of his professional career.